Just some hard boiled eggs and some store bought “googley eyes”! But, oh so cute! 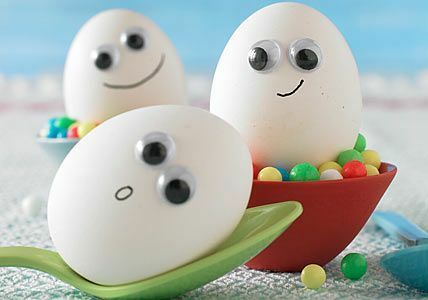 Put a few on top of some bowls filled with Easter candies or jelly beans, and stand back for maximum “wide eyed kiddie” cuteness!